Before the introduction of Information Technology, there were many organizations that have been more successful than others. These companies have had a better product or service offering, a positive customer focus, and very probably close employee involvement in its development. Today, these qualities need to be fused with a complete understanding of the value of IT to maintain or repeat this level of business success. Small businesses that fail to capitalize on the strategic value of IT, often stemming from the owner’s disengagement, are those that have failed to appreciate the businesses ability to create competitive advantage. This problem is further compounded by the absence of a well communicated and clearly defined IT strategy, and the consequent failure to correctly align a company’s resources - including its IT - with the strategic objectives of the organization. The consequences of a missing IT strategy can be huge and will often result in missed opportunities to use IT to accelerate and achieve critical business performance improvements. A further consequence, stemming from a lack of owner and management interest in technology, is the creation of an IT department that lacks knowledge of business strategy, resulting in an inability to align IT resources with the business objectives of the organization. Any combination of technically disengaged owner and a technology focused IT department will effectively block any chance of the company leveraging IT for real business gain. Small business owners have been told by management gurus that ‘having an IT Strategy’ has joined the ever-growing list of items which demand management attention. Despite the dire warnings and the consequences of failing to respond to the challenge, owners have been given no direction on what an IT Strategy might mean, or how you go about creating one. This blog attempts to briefly answer the question what is an IT strategy? 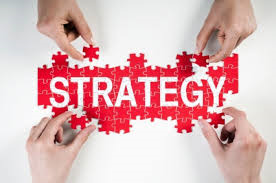 So what exactly is IT strategy? An IT strategy is a plan to guide their organizations on all facets of technology management, including IT cost such as in-sourcing or outsourcing, IT payroll, IT hardware and software, IT vendor management and all other considerations in the IT environment. Developing and executing an IT strategy requires strong business leadership; the small business owner needs to work closely with managers, as well as, with other stakeholders within the organization. Many small businesses choose to formalize their Information Technology strategy in a written document or balanced scorecard strategy map. The plan and its documentation should be flexible enough to change in response to new organizational circumstances and business priorities, budgetary constraints, available skill sets and core competencies, new technologies and a growing understanding of user needs and business objectives. I have observed many situations where the business owner was supposed to document an IT Strategy in a short period of time, in order to prepare the following year’s IT budget. Very often, they lack supporting business information in order to achieve this task. The result is a weak or no IT strategy, sometimes ignored by the user’s community, the key stakeholders. A weak IT strategy can be costly and wasteful, especially for resource-constrained organizations that operate without an IT budget. It also implies that organizations cannot respond to changing business requirements rapidly enough. The absence of strategic thought causes organizations to be inefficiently reactive, forcing them to work in a constant state of catch-up. So how do we avoid becoming reactive, can we convert to a proactive approach to IT? Yes of course, begin by developing an IT strategy and connect the strategy to an annual IT budget. Should we consider outsourcing our IT Strategy development and IT Support? Are we doing the right things with technology to address the organization’s most important business priorities and continuously deliver value to the clients? Are we making the right technology investments? Do we measure what is the real value to the organization derived from that technology? Is our current Information Technology agile enough; flexible to continuously support a successful organization? Is our Information Technology environment properly managed, maintained, secured, able to support the clients, and is it cost effective? We often find that many small business owners do not feel they have the knowledge to answer these IT questions. For many small business owners who feel that their focus should not be detracted from their prime business, the benefits of IT outsourcing should definitely be explored. A professional IT outsourced company will possess the business and technology skills necessary to ensure that the full benefits of IT are realized. It is commonly believed that an IT outsourced contract only benefits costs and, in many cases, this can be the case, however, in the best examples, an outsourced IT contract can have much greater benefits for a small business including offering a guaranteed way of ensuring the full strategic benefits of IT are properly realized.